You know the problem with having a January birthday? You've barely got the Christmas tree down, and you're yet to find homes for all your lovely new presents from Santa. And when you get the dreaded text from a family member asking what you'd like for your birthday, you have to sit on the Internet for a good couple of hours trying to put together your birthday wishlist! My 22nd birthday is only three weeks away, and I know that time will fly by between university deadlines. When I sat down to do this wishlist, I really struggled to think of things to put on it! Luckily, my mum learned early on not to go too crazy at Christmas and get me everything that my heart desired, so Benefit's lipstick in Wingwoman is still on my wishlist! It's a gorgeous, natural looking shade which will be perfect for more barely-there make up days so I know I'll get my use out of it! Anyone who's been to my house will tell you that my kitchen is pure floral. (When Luke brought home a mug from work that wasn't floral and put it in the kitchen cupboard, I had a little diva-fit. Sorry not sorry.) I love the floral mugs from Cath Kidston, the prints are so adorable and they're the perfect size for my morning cuppa (No tiny cups for me!) One of my current collection has chipped so a new one would be amazing! I fell in love with this beautiful purse from Accessorize instantly. My current purse is starting to get really tatty and scruffy so I'm definitely ready for a new one. The pale pink on this one is gorgeous and I love the dainty edging! Roses de Chloe is the biggest splurge on the wishlist, and I'm not usually bothered about expensive perfume, but I was wandering around the counters in John Lewis with a friend just before Christmas and found this one in its pretty bottle and thought I'd died and gone to perfume heaven! I love sweet smelling fragrances and this one is feminine and flowery without being too overpowering. I'd definitely save this one for special occasions though! 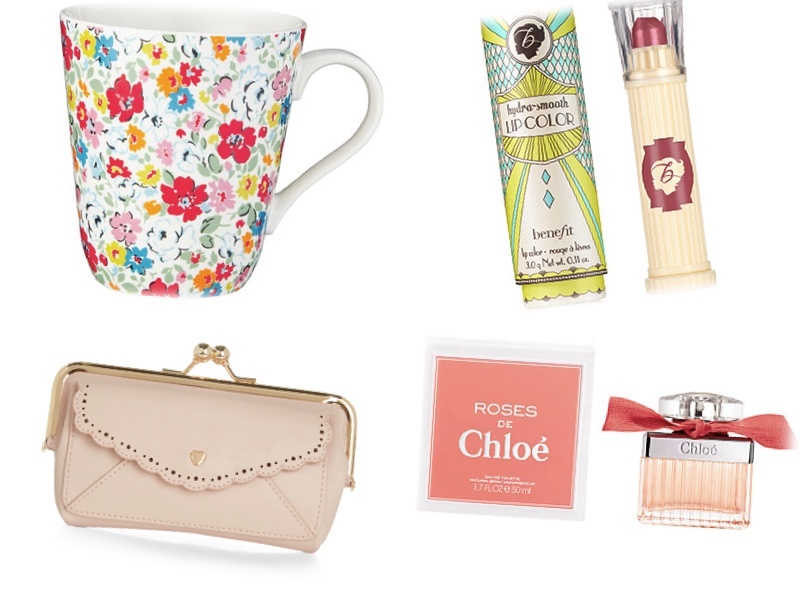 I'll count myself a very lucky girl if I'm treated to any of these goodies on my birthday! Are any of you January or even December babies?! Do you have the same problems having a birthday so close to Christmas? I love the Chloe perfume! I hope you have a lovely birthday and get everything you dream of! Its my birthday next week and I've asked for the Chloe Perfume too :)!